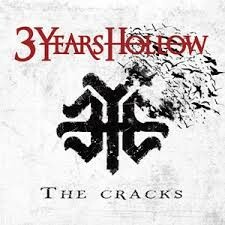 Luckily I get to hear some very fine unknown bands; 3 Years Hollow is a cut above the rest on the evidence of 'The Cracks'. Produced by Sevendust's Clint Lowery and being signed to Imagen (by Lowery's band colleague Morgan Rose) has undoubtedly allowed 3 Years Hollow to punch above their weight. But the music industry being what it is means that there's nothing unusual about it whatsoever and 3YH can point to financial struggles and old fashioned hard work as well as talent for their current achievements. 'The Cracks' illustrates that the hard graft has paid off. Tapping into a whole host of Rock genres, from Metal and Modern Rock through to Progressive Rock and eighties Hard Rock, it's both hard hitting and melodic. From the opening chords of 'The Devils Slave' right through to the aggressive 'Remember', it's not difficult to hear that there's something classy going on here. Thunderous Metal tunes like 'Lost', the crunching 'Runaway' or 'Hungry' bring to mind a more mainstream Disturbed, the latter even touching on early Theory Of A Deadman territory.